Absolutely amazing home off of McCrory Lane! Absolutely amazing home located just off of McCrory Lane! Updated kitchen and bathrooms. Huge walk-in closet in master bedroom. Two car garage. Oversize back deck great for entertaining. Bonus room. Formal dining room. Fireplace located in living room. Electric oven/range, refrigerator with ice maker, built-in dishwasher, sink disposal and microwave. Washer and dryer hookups. Central electric air conditioning and central gas heating. Carpet, hardwood and ceramic tile. Fenced yard. Sorry, no pets and no smoking. 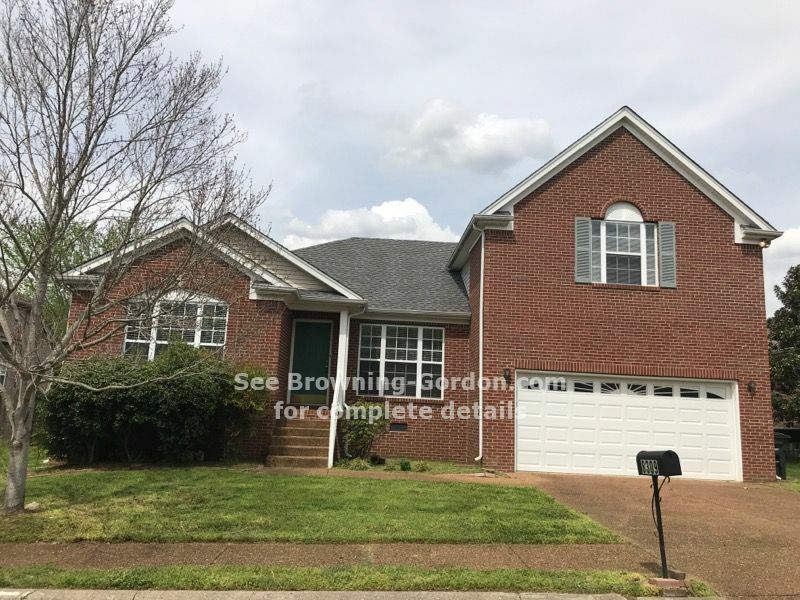 Drive by today and call Shelly of Browning-Gordon & Co. at (615) 383-3999.